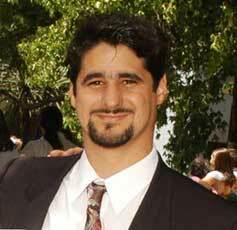 Born in Buenos Aires, Argentina in 1971 , where he still lives. He enjoy drawing and painting from the early begining. He founded fascinating the airbrush, and worked with this technique while he was studying industrial design. He show his work 2 times in the University of Buenos Aires , where he teached this tecnique. He worked in ilustrations and grafic design. In the year 2000 he started painting with acrilic on canvas and then oil on canvas. 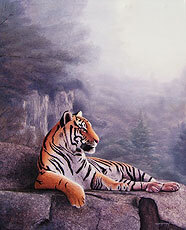 Now he is a well known wildlife artist. You can find his work in the best art galleries of Argentina and other countries. 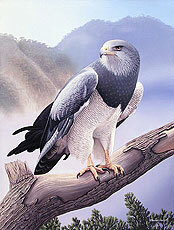 I like animals very much, the wildlife, drawing and painting too. So wildlife art is a good way to combine this two passions. I incorporate the hiperrialism stile in my previus job, that was publicity ilustrations., so it helps me to portrait the animals just like they look. I spend a long time working in the details, all together give life and realism to the animal I am painting. Althought I like the work of other argentine wildlife artist such us Oscar Campos, Jorge Rajadell, Amador Tanoira, Camilo Lucarini, Gabriel Hermida, Ricardo Bonati, or Daniel Smith I atemp to generate my own style.Hiperrealistic painters like Helmut Ditsch, Jorge Frasca has been an inspiration. Its an honnor to shear spaces in galleries with great artists such as Benito Quinquela Martín, Stephen Koek Koek, Carlos Alonso, Antonio Verni, Vito Campanella, Jorge Duarte, Daniel Pellegata, Oscar Correa, Carlos Pfeiffer, Alejandro Pérez Becerra, Zami Treguer, Severino Garcia Bravo, Oscar Campos, Jorge Rajadell, Amador Tanoira, Oscar Vaz, Diego Dayer, Eliana Aromando, Susana Alego, Palito Harvey, and others.